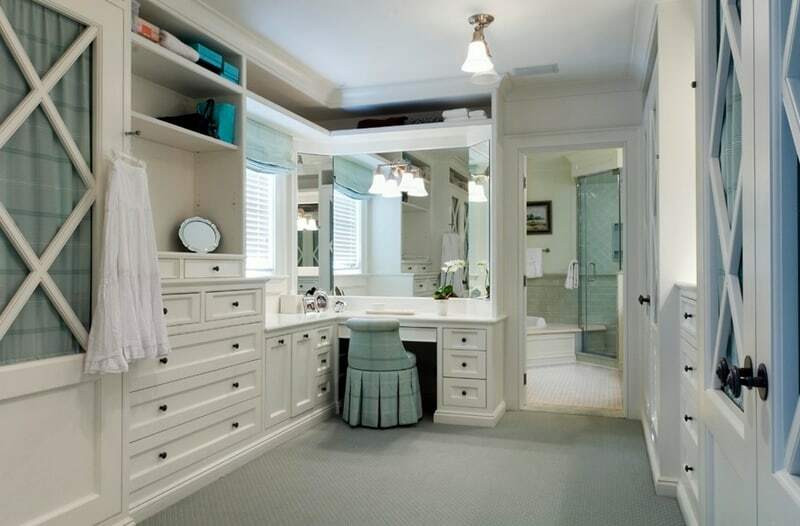 Nowadays, many people definitely want to looks beautiful. 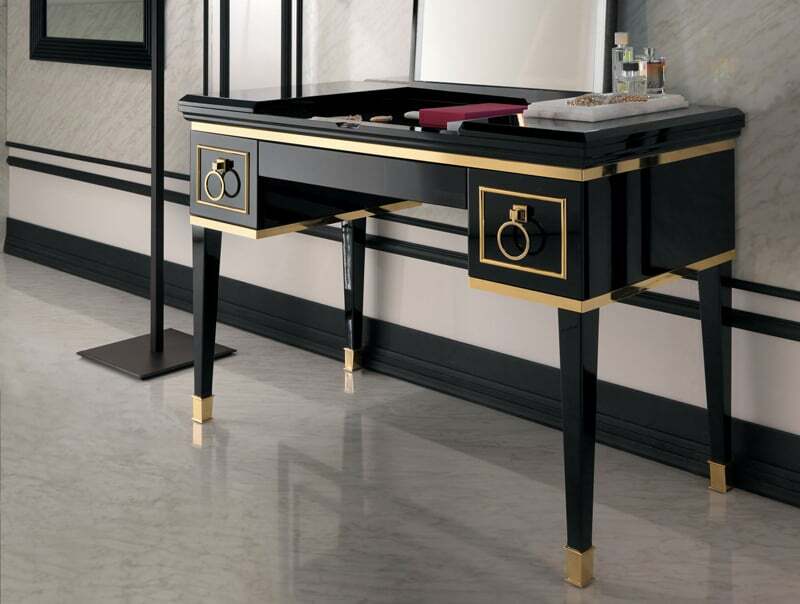 They will use anything to make her face beautiful to see and make some people interest with their face. 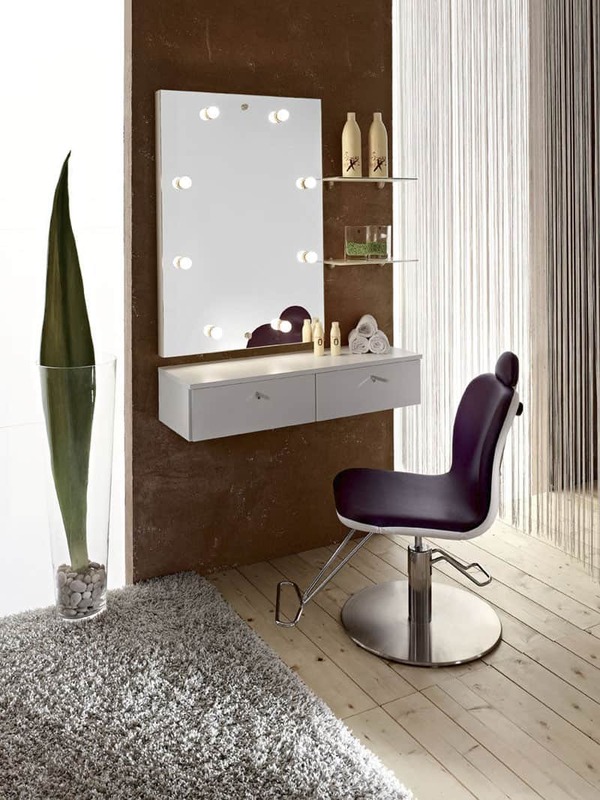 Usually, women need 1 hour to seat in front of the makeup vanity and drawing her face to be beautiful, so you should make it comfortable to have the best result. 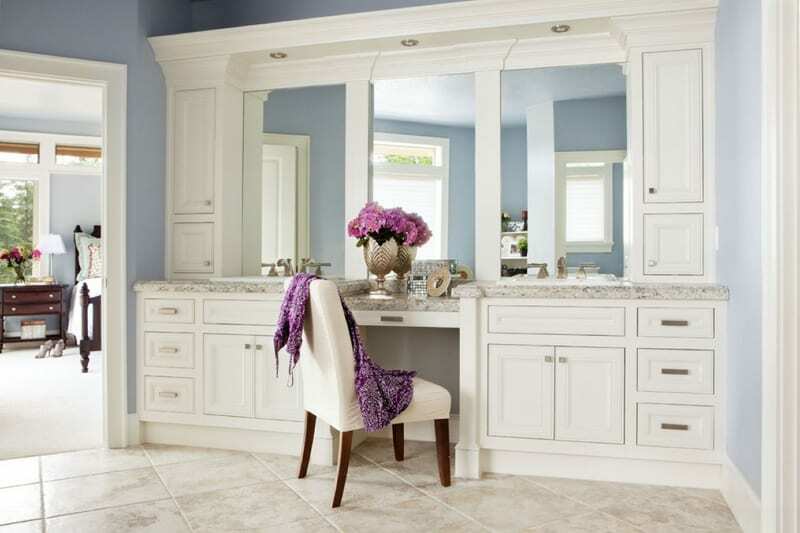 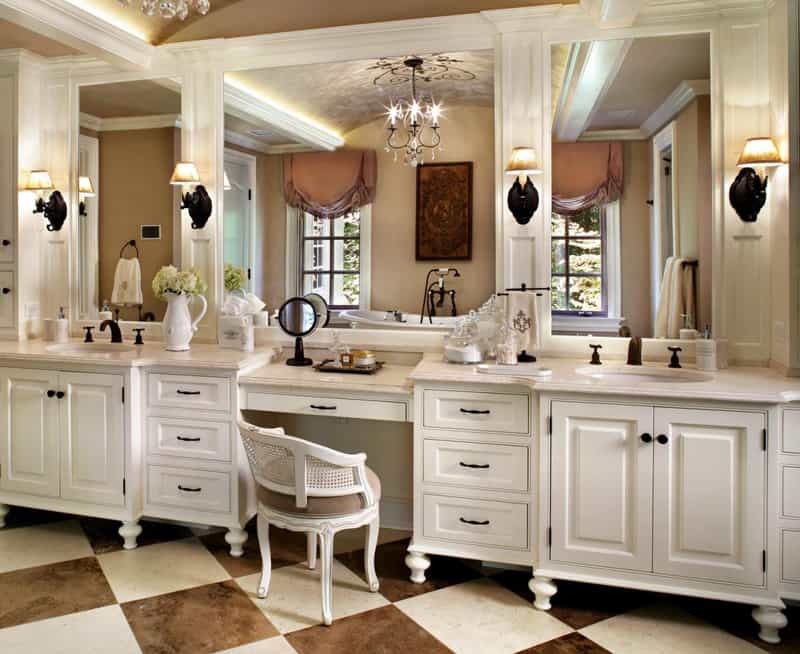 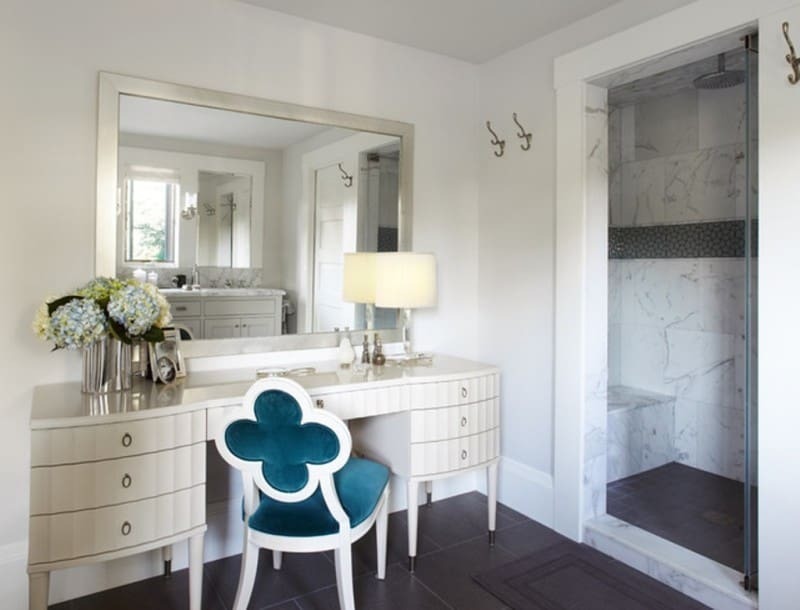 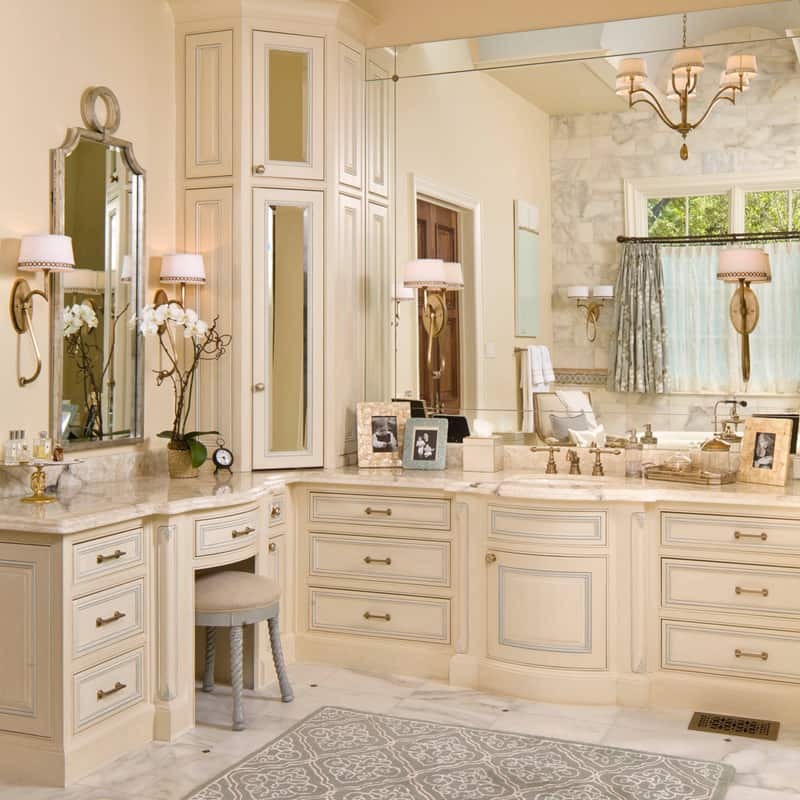 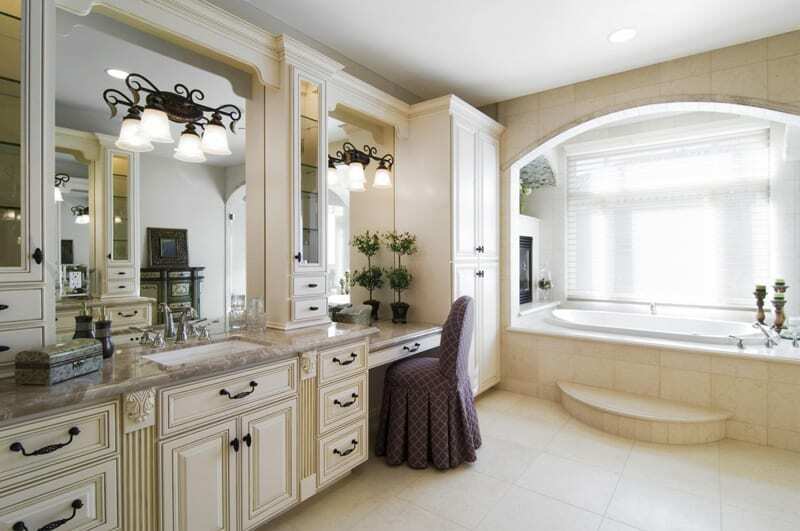 Do you dream of having a bathroom retreat with a lavish makeup vanity or dressing table that’s all yours? 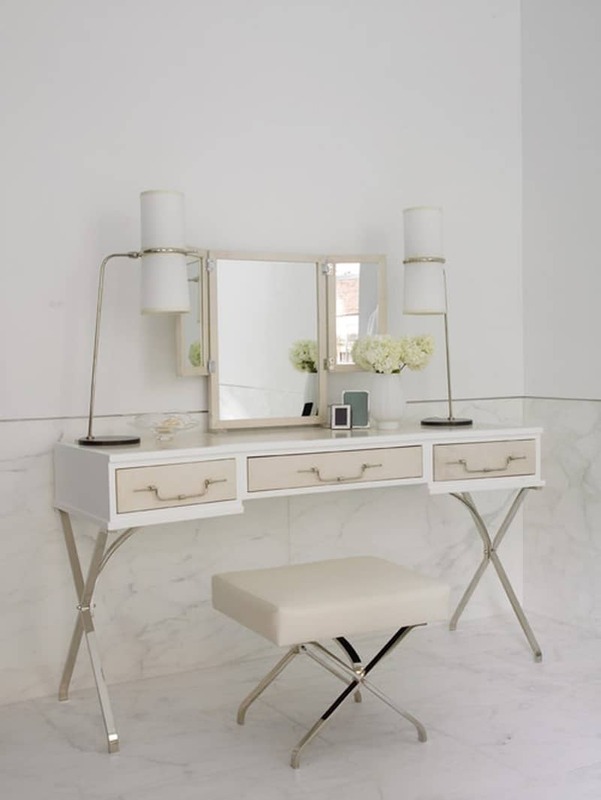 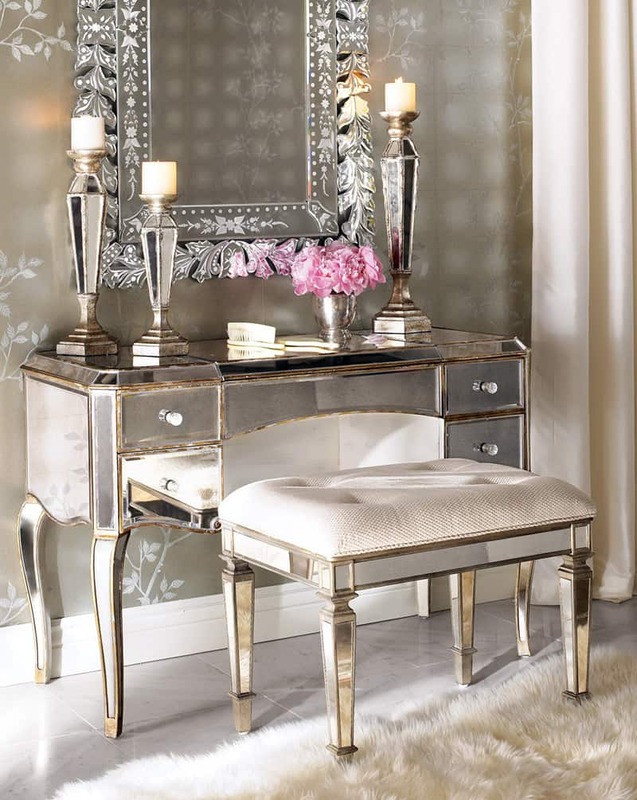 Mirror and drawers are the best things to combine in the makeup table, so you will get the simple makeup vanity with light. 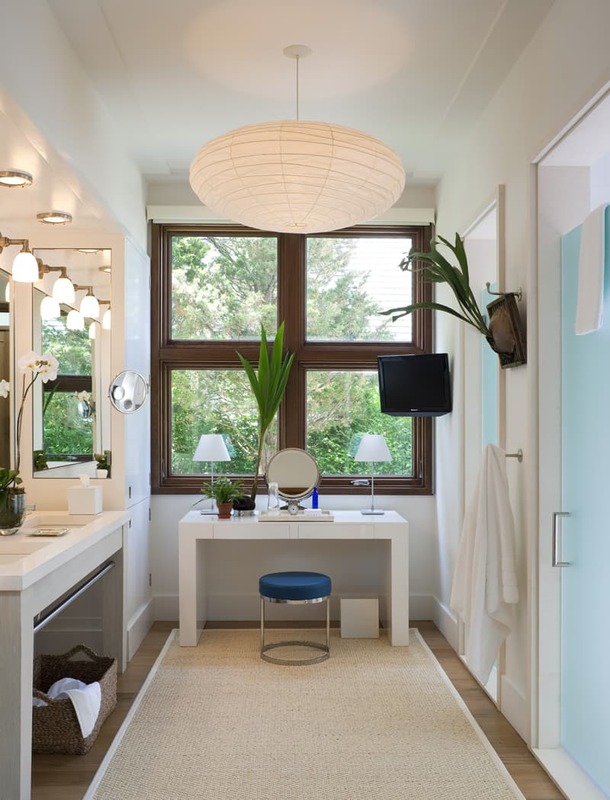 Also, light on the mirror can be important. 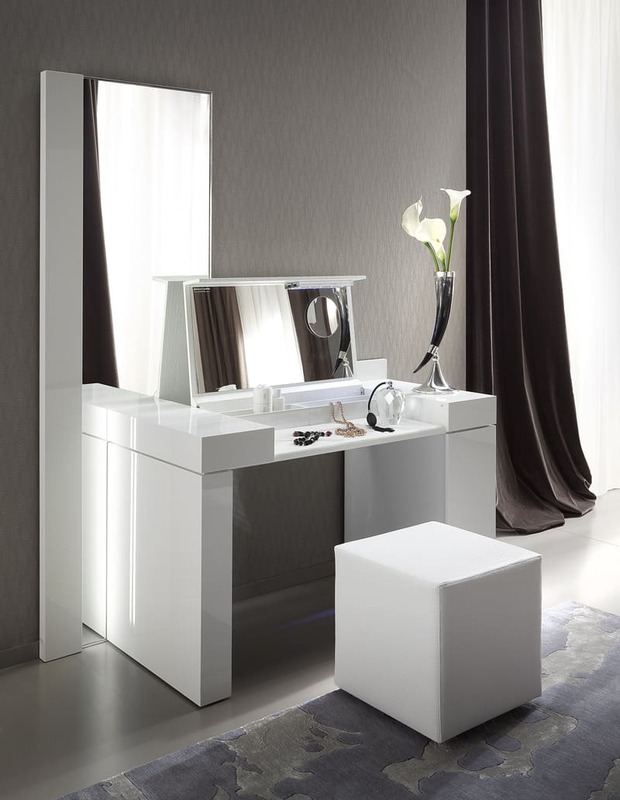 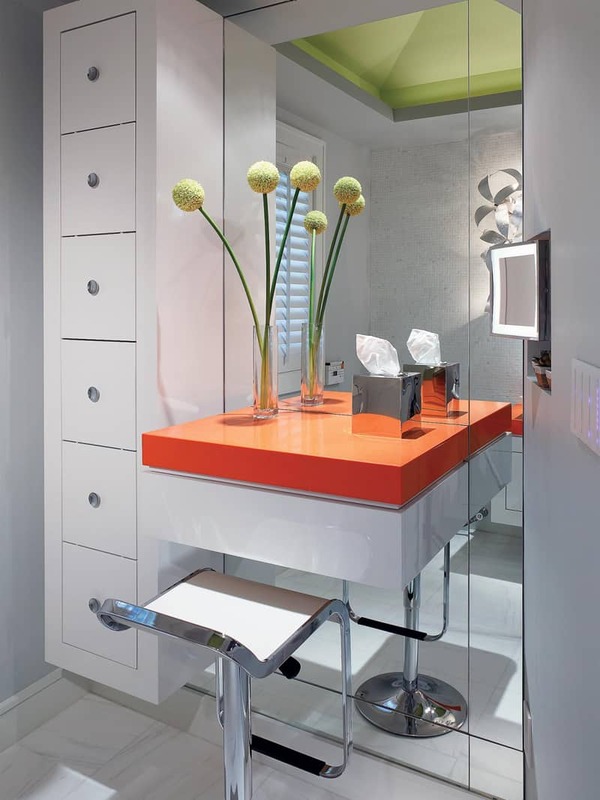 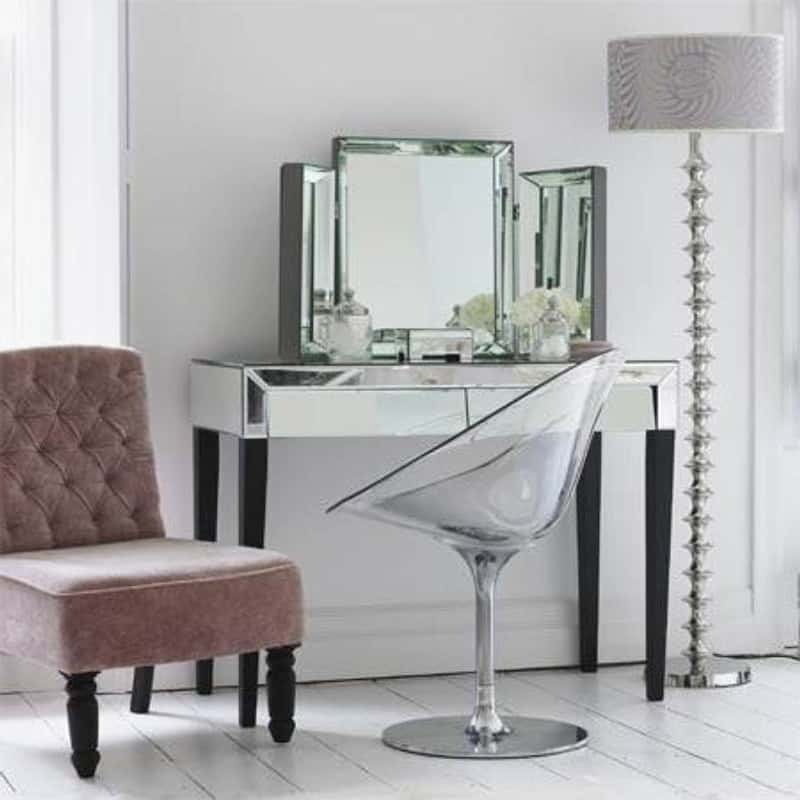 The light can you combine with the mirror or just stand alone beside the makeup vanity. 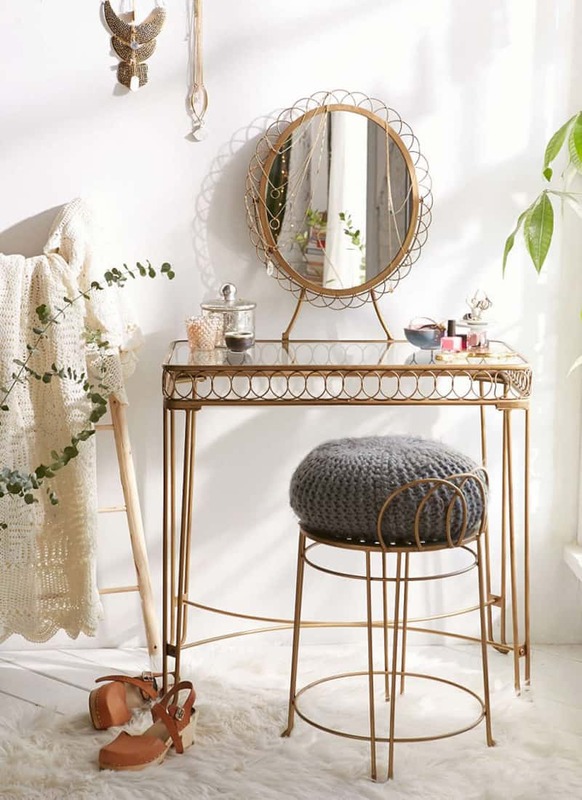 We all have bathroom clutter, it just goes with the territory; makeup, aftershaves, lotions, potions and little piles of discarded jewelry, it all adds up! 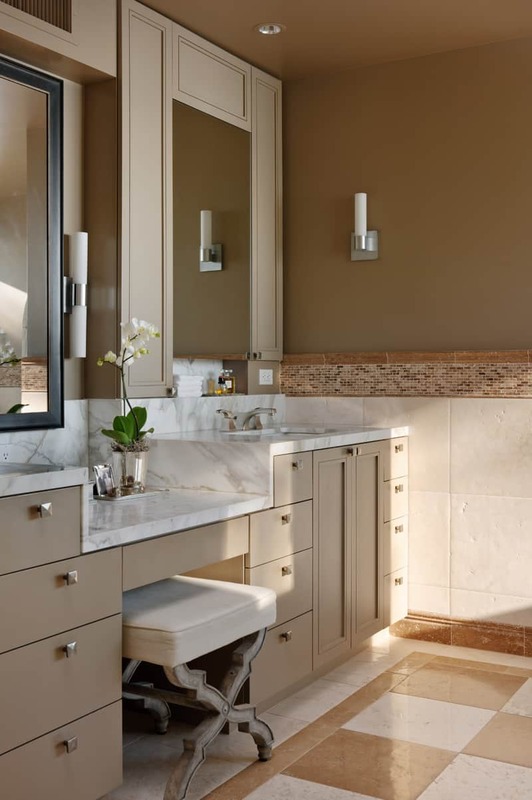 It’s time to take another look at the space in which you dress and undress, and get things organized with these handy bathroom vanity ideas. 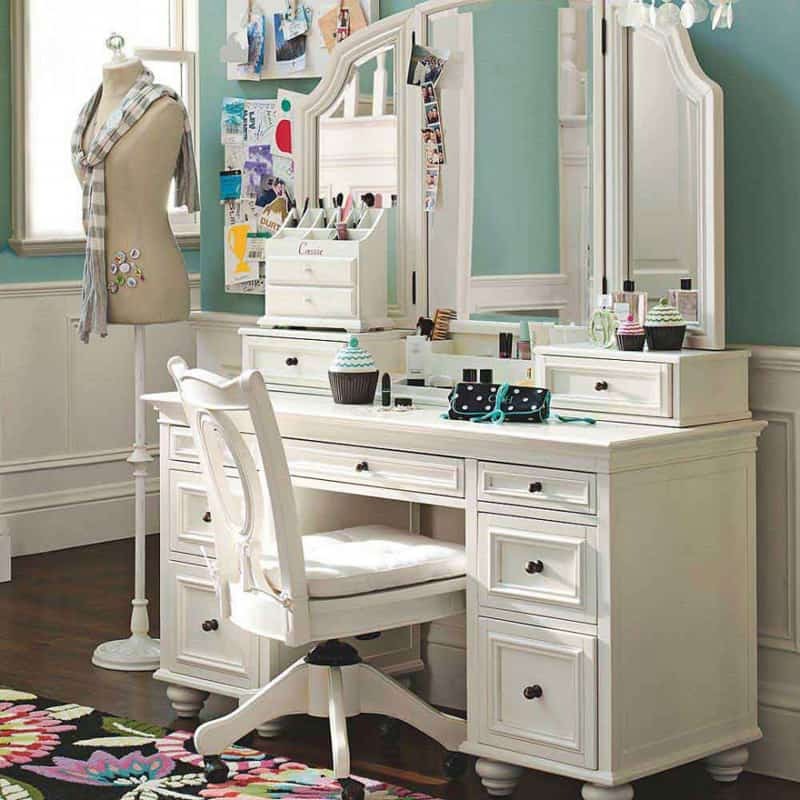 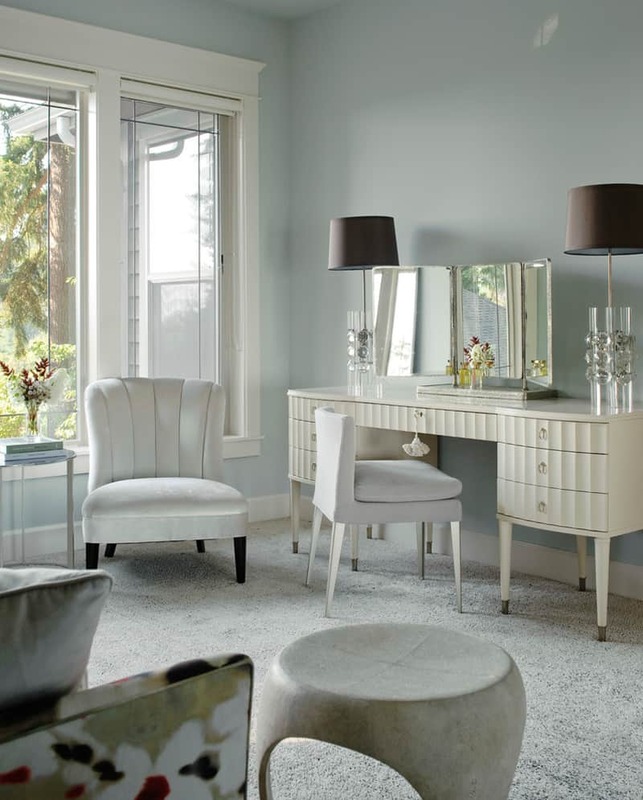 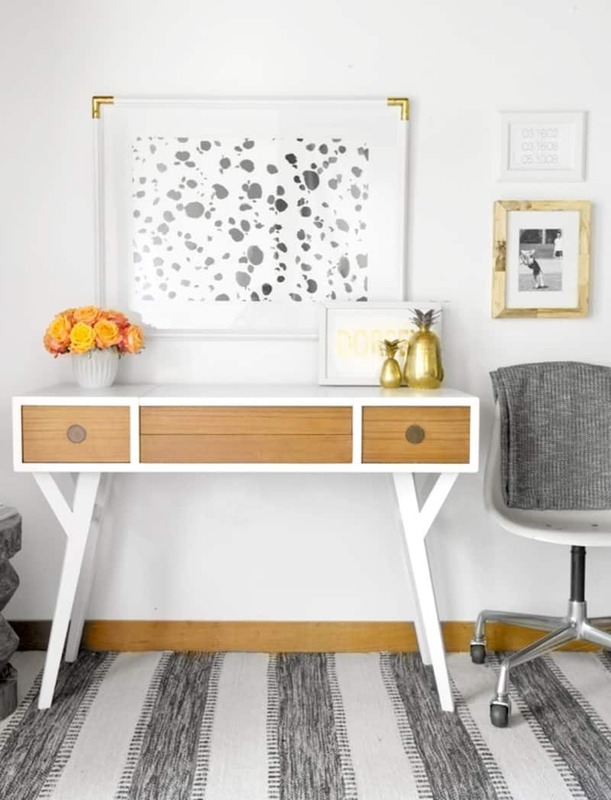 Be inspired by 25 Chic Makeup Vanities from top designers, and discover ideas you can integrate into your own space. 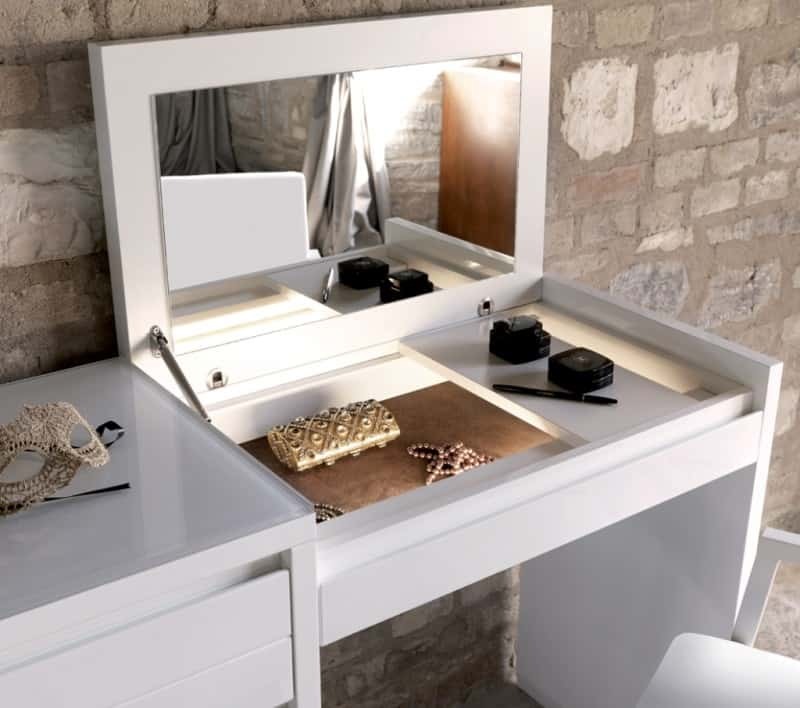 The makeup vanity with light also gives the advantages for every woman, because they still can do her makeup even in the dark situation. 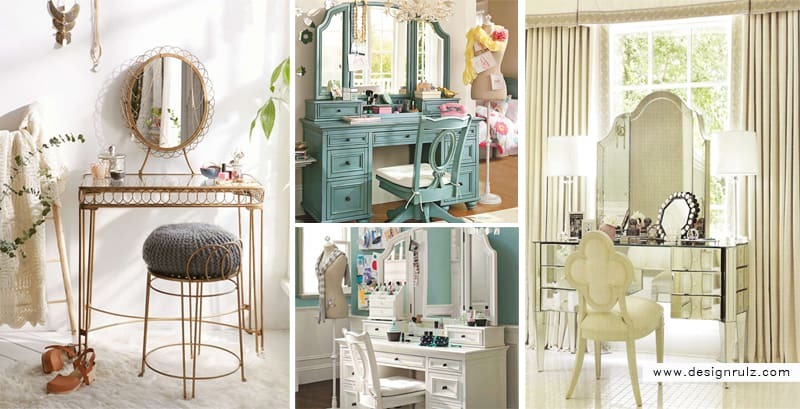 Makeup is important for every girl.